We have developed three distinct mailing systems which can be used to obtain the overseas QSL card. Each system includes a cover envelope (outer) in which the QSL card and the return (inner) envelope are mailed to the Dxer or QSL manager. In these systems, no folding of the return envelope is necessary. Each envelope is security tinted and has the normal red and blue air mail border. 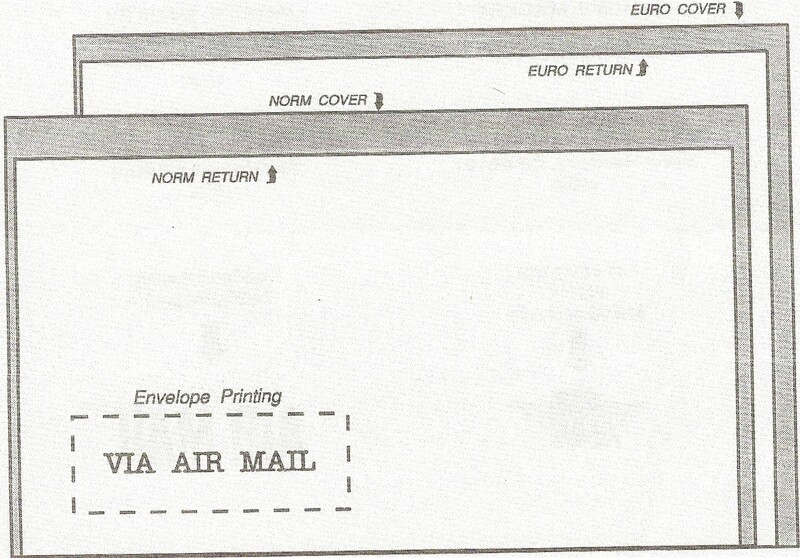 Each envelope is also printed with the usual air mail designation in the lower left hand corner. Press each image for full screen image. Distinctive Results! Admirable for Display! Normal System: Air Mail more common in North America, South America and Asia. Plain System: Non-Air Mail. Plain white with security tint on the inside. All systems manufactured under private label in the USA on high quality paper, shrink wrapped in packs of 25 envelopes. 3 7/8" x 6 3/4"
3 5/8" x 6 1/2"
Include $10.00 US for shipping and handling. Selection Guide for Envelopes style and size. Click to Enlarge.